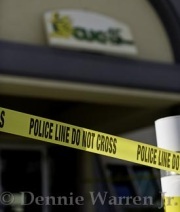 Anyone in the vicinity of CUC or North Sound Road at that time, please call 949 7777 or Cimestoppers on 800TIPS. Your information will be treated with the strictest confidence. During the delivery of his verdict Justice Quin said he did not think that either White or the crown's second witness, Nora Ebanks, were unreliable or that theinconsistencies in their statements were such that he could not believe their evidence. He rejected the defence argument that White was a fantasist or that the second witness was testifying against the defendant because she wished him ill. The judge rejected Ebanks' alibi that he was at home at the time of the shooting bathing with his wife because the two witnesses both put him very close to the scene of the murder a few seconds before and a few seconds after. The judge said he relied on the evidence of the witnesses and that he believed the defendant had returned to the yard at Birch Tree Hill dressed in dark clothing and with a handkerchief wrapped around his hand to prevent gunshot residue getting on to his clothes with the intent of killing the victim. Justice Quin pointed to the confession Ebanks had made to White and said he believed there was other evidence that supported that confession. 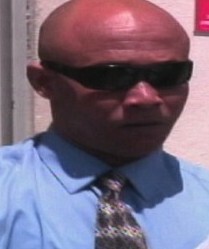 Although no gun was ever recovered, no eye witnesses to the shooting had come forward and no forensic evidence was presented in the case, the judge said that he believed that the key witness, whom he described as a courageous woman, had told the truth when she said she had seen Ebanks with a gun on several occasions. Although Ebanks did not give evidence during the trial, he had given three statements to the police in which he denied killing the young man and implied there were other people that may have wanted him dead because he had fired shots at one man's grandmother's house and was also believed to have stolen drugs from others. The young victim was described by Ebanks as a runner for Damion Ming, who was on bail at the time awaiting the outcome of an appeal against a significant drugs charge but was shot and killed in the very same yard on the eve of his return to prison some months before. He had told police that he had nothing to do with the young man's murder. As he handed down the verdict, the judge said he was satisfied beyond reasonable doubt that the defendant was guilty. But as Ebanks stood to hear the judge pronounce the mandatory life sentence, Ebanks again protested his innocence. "I did not kill the young man," he told the court. "You have sentenced an innocent man to life," he said before he was taken in to custody. Quoting recent comments made by Police Commissioner David Baines, he added that it was a sad day for justice in the Cayman Islands. Ebanks is the first defendant to face a judge alone trial in recent months to be convicted of murder following a run of acquittals in front of judges in gang related fatal shootings. This trial was also the first success for the prosecution in firearms related killings since a jury convicted four men of shooting Omar Samuels last September. Samuels was shot in the leg in McField Lane in George Town in July 2009 but died from his injury as the bullet penetrated his femoral artery. When the premier moved to suspend the standing order that requires a 21 day notice period on all proposed bills brought to the LA, he lost the vote. All opposition members as well as the independent member were present and voted against the suspension but with only four other UDP members in the chamber at the time, the premier's move was thwarted. On Thursday the meeting was scheduled to start at 10am with a full order paper, and although it didn't adjourn until well after 8pm, the lawmakers actual sat in the chamber for no more than two hours during the twelve hour long meeting. The MLAs efforts to debate the independent member’s motion in the afternoon session on reducing fuel duty was stalled when personal animosity between members spilled over into a full scale row that saw the speaker abruptly suspend the proceedings. The legislators did not return to the chamber until around 7pm, only to have the House adjourned as the speaker ordered all the accusations made by various members struck from the Hansard. The legislators are now expected to return to the LA this morning (Friday) to turn their attention to amendments in the immigration bill that will suspend rollover and introduce ten year permits. The meeting is scheduled to begin at 10:30am and is open to the public. (CNS): Although many businesses are still reporting feeling the pinch, the local economy recorded positive growth in the first half of this year, the statistics office has revealed. The ESO said that between January and June, on an annualized basis, the Cayman Islands economy grew by 1.3 percent as compared to a contraction of 4.1 percent during the same six months last year. The ESO also predicted that the annual GDP growth for the entire 2011 calendar year would be 0.9 percent. The statistics experts said that the performance of the hotels and restaurants was one of the driving factors because this sector is estimated to have grown by 8.0 percent as a result of the continued increase in air arrivals. Taking the credit, Premier and Finance Minister McKeeva Bush said the growth was down to his government’s policies. In its half year report, the ESO also revealed that imports rose by 4.6% to $360.9 million, in contrast to a decline of 5.2% in the same period last year, and while air arrival were on the up, cruise passenger arrivals decline by 3.4%. News from the financial sector was not quite as positive. 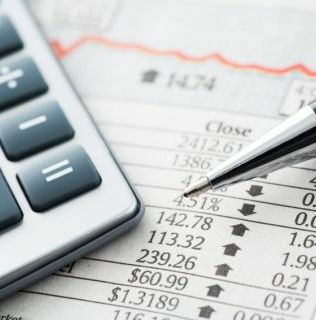 While company registrations rebounded by 11% to total 4,844, bank and trust company licenses slid by 5.7%, insurance licenses decreased by 4.4%, mutual funds registration fell as by 77 or 0.8% and stock exchange listings contracted by 18.1% to settle at 1,106, while stock market capitalization for mutual funds sharply declined. Work permits continued to fall too, but the ESO said the decline at a rate of -7.5% was at least lower compared than the fall of 11.3% the year before. During the first half of 2011, civil service employment decreased by 1.8%, or 65 people, leaving a total of 3,619 government employees. Water and electricity production and consumption also fell by 1.0% and 2.6% and 0.9% and 1.1% respectively. The Consumer Price Index increased by 0.5% as lower prices in the housing sector were offset by high oil prices impacting transport, the report said. The recent gang violence has taught us one thing: that our youth have been severely neglected over the past two decades and, some would argue, over possibly an entire generation. This is one of those rare examples where just about everyone in society has the same opinion on what has occurred and the source of the problem. While most of us accept that some amount of additional policing, law changes and resources would help in dealing with the short term problem, we all point to a some form of "social cancer" or another as the true root of the problem. The trouble with all this is that none of us seem to accept any form of direct responsibility; the issue is deflected as one that may be to blame on the schools, lack of education, the government and poor parenting. The most interesting of these is the last one because ironically we tend to either point to the "other" poor parents out there, rather than looking within, or we fail to assist or mentor a child when we see a situation going from bad to worse in our own circles. Kids need positive mentoring, role models and guidance from an early age. Parents who let their 11 year olds "hang out" until 10pm at night or, worse, have no idea where they may be should be held accountable in some way. The trouble with that suggestion is that this type interference in a family' s private life does not go down too well with most people. No one likes the so-called nanny state, and everyone wants their rights and freedoms. And that means we are all left to deal with the problems that are created later as these otherwise innocent kids go off track as part of the way they deal with neglect and a host of other issues. It would be difficult to find anyone that disagrees with this broad assessment of the true source of our problem, but it is equally hard to see any evidence that parents are owning up to their responsibilities. The government provides policy support and funding for some programs. The schools are there to provide an opportunity for our children to learn and develop. And churches partially offer moral guidance and programs. And a host of other community and sports organisations are there to provide support. But none of these organisations are responsible for these children. Parents are responsible for their children, and no amount of police tactics, additional resources to fight crime, or government assistance can change that. It is time for each parent or adult guardian to own the responsibility to guide the children in their circle, one day at a time, or face the consequences. (CNS): The Children and Youth Services (CAYS) Foundation's Family Reunification Programme has received a further US$36,585 from Hedge Funds Care Cayman, a charitbale organisation that aims to to prevent and treat child abuse and neglect. The programme is designed to strengthen vulnerable families during the transitional period when a child is being returned home from the Residential Programme and to provide support to the familyonce the child has been discharged from care. It takes a strength-based, family centered, and solution-focused approach with families, working with them primarily within their homes. Families receive services from the Family Support Worker to assist them in developing safe, healthy, stable, supportive home-environments. The Family Support Worker focuses on skills-building as well as reinforcing positive behavioural changes and provides families with training; coaching activities, sourcing community activates for members of the family, planning and implementing family evenings, and providing practical experience in areas such as problem solving, goal planning, meal planning and other related topics. “The practical and emotional support services of the Family Support Worker has greatly assisted us in developing a healthy relationship with the families of residents in our care”, said Angela Sealey, CEO of the CAYS Foundation. “The programme has significantly helped families improve their home management and parenting skills, by teaching and encouraging them to attend parent evenings, develop physical and emotional caring skills and understand the different ways to deal with behavioral difficulties. As we continue to grow as an organization, please know that the Hedge Funds Care grant is vital to the success of the Foundation”. The CAYS Foundation, was established as a government owned company in December 2002 to manage and operate two residential homes, the Bonaventure Boys’ Home and the Frances Bodden Girls’ Home. The two facilities cater to children and youths between the ages of 11 years through 17 years, who are at risk and deemed to be in need of care and protection. The children are placed by the Court and may remain at the facility for a maximum period of two years. The Residential Programme offers 24 hour residential care to residents who have had traumatic experiences, exhibit behavioural and emotional problems, low self-esteem, poor coping skills, feelings of rejection by parents and caregivers, and poor social skills. With the support of other experienced professionals, the facilities deliver a number of programmes to ensure that individual treatment needs are met for each resident. Programmes include Social and Life Skills, Behaviour Modification, Tutoring, Vocational Skills, School Shadowing Programme and Pre-work Training. Through partnerships with social workers, counsellors and other stakeholders, the ultimate goal of the Residential Programme is the reintegration of the children with their families or caregiver wherever possible. “Over the past five years Hedge Funds Care has granted a total of US$204,448 to the CAYS Foundation. These grants have helped CAYS make their vision a reality and I hope that we can continue to support them in their efforts for a better tomorrow”, said Lauren Nelson, Chair of Hedge Funds Care. Hedge Funds Care Cayman is a local charity founded in 2005 as the second international affiliate of Hedge Funds Care International. Since then, the Cayman chapter has distributed over USD$1.3 million in grants to agencies and organisations in the Cayman Islands that work to prevent and treat child abuse and neglect. The overall objective of Hedge Funds Care is to put an end to child abuse and neglect. Hedge Funds Care aims to achieve this by raising awareness of the problem and the traumas inflicted from abuse and neglect, and working with organisations that help young victims of abuse. (GCFFA): Fierce flag football action was the scene at the Camana Bay Field last Saturday as playoffs began for the Dart Women’s League organized by the Grand Cayman Flag Football Association. The Hammerheads Lady Sharks secured their position to play in the championship game this Saturday, after shutting down the Lone Star Jager Monsters with a final score of 24-0. The Lady Sharks will be battling the Domino’s Pizza Wolverines for the trophy, as the Wolverines barely defeated the Androgroup Killa-Panthers last Saturday, with a score of 6-0. The last time the Lady Sharks met the Monsters, the game was full of interceptions and penalties, and ended in a tie. This time, the Lady Sharks stayed focused on the game, and their determination saw the team executing plays and ending with a Monster mash. Quarterback Bobeth O’Garro had a near perfect passing game, as she completed fourteen out of eighteen passes, including three touchdown passes. O’Garro also used her speed and shifty hips to run the ball into the end-zone, coming up with a touchdown. Leading on offense for the Hammerheads Lady Sharks was Scimone Campbell, who had five receptions, including one for a touchdown. The ball was spread among the players, as Lilia Connolly, Sophia Foster and Maggie Ebanks each had two receptions. One of those catches for Ebanks was in the end-zone, adding to the team’s leading score. Serena Yates, Katherine Maw and Courtisha Ebanks each had one reception. Ebanks’ brief moment on offense brought in the third touchdown catch in the end-zone. The Lady Sharks didn’t have much work to do on defense as the Monsters didn’t complete many catches. Scimone Campbell, Hong Nguyen and Maggie Ebanks each had one tackle. Serena Yates sacked the quarterback twice, and Katherine Maw and Nguyen also contributed with one sack each. For the Lone Star Jager Monsters, dropped and mis-judged passes dampened their usual aggressive spirit. Quarterback Michelle McTaggart didn’t have the same finesse as last week, completing only four of nine passes. Erica Bosch-Bone also stepped in for one failed pass attempt. On offense, Christine Bisnauth, Kristin Kipp and Erin Marshall each hadone reception. Running plays did not develop for the Monsters, and they were unable to move the ball on offense. Defense saw a bit more action, but the Monsters were unable to keep the Lady Sharks from scoring. Colleen Cummings and Renee Thompson each had two tackles and Marline Williams came up with one. In the second game, quarterback for the Domino’s Pizza Wolverines, Antoinette Lewis, had trouble meeting her receivers as she completed just twelve of twenty seven passes, including one for a touchdown. Enjoying her best game yet was Schmarrah McCarthy, who led the offense with five receptions, including a tough catch in the end-zone which clinched the win for the Wolverines. Shamar Ennis had another great game with four receptions, while Jahzenia Thomas, Zonief Walker and Beniecia Thompson added to offense with one reception each. Penalties stopped the Wolverines from some long plays, hindering the team’s ability to progress down the field. The Wolverines had a better time on defense, with Shinette Rhoden leading her team for the second week in a row with six tackles. Alexandria Saintvil and Agueda Broderick also contributed with three tackles each. Jahzenia Thomas came up with one tackle and a sack, and Broderick also slipped between the offensive linemen to sack the quarterback once. Dionne Whittaker had two tackles and Eleanor Berry also came through with an interception. For the Androgroup Killa-Panthers, quarterback duties were shared between Christina Pineda and Lisa Hill-Malice. Pineda completed seven out of fourteen passes, with one interception thrown. Malice faired a bit better with eight out of twelve passes completed. Both quarterbacks shared the ball around, keeping the offense unpredictable. Leading on offense for her first time this season was Jennifer Allen with four receptions. Following Allen was Lisa Hill-Malice, with three receptions. Tonia Ebanks, Heather Roffey and Christina Pineda each had two receptions, and Caron Murphy had one. Many dropped balls and looking for the ball too late were the cause of the Killa-Panthers’ unsuccessful offense. On defense, the Andgrogroup Killa-Panthers played a very tight game. Making most of the tackles was Gillian Roffey, who led with five. She was followed by her sister, Heather Roffey, who added two tackles to her defense. Becky Coe came up with one tackle. Natalee Dyke, Denise Delpesh and Stephanie Watler found the gaps in the Wolverines’ offensive linemen as they each sacked the quarterback one time. The championship game will be played this Saturday, 1 October. Playing for third place is the Androgroup Killa-Panthers versus the Lone Star Jager Monsters at 10am. Vying for the Dart Cup, the coveted trophy, at 11am is the Hammerheads Lady Sharks against the Domino’s Pizza Wolverines. (CNS): Scuba diving visitors can now pay less for the certification and the licence to help cull the invasive red lionfish, which have become a major environmental issue in recent years. With recent approval from the Marine Conservation Board several months ago, Cayman’s dive operators are now able to teach the PADI Lionfish Tracker Distinctive Specialty course, and upon completion, guests receive the PADI c-card plus the local lionfish culling license. 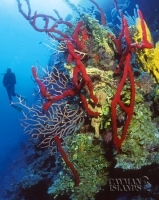 And now some Cayman Island dive operators are offering reduced course fees to visitors and residents this fall. Currently, reduced price courses are available from Divetech, Ocean Frontiers, Deep Blue Divers, Cayman Turtle Divers, Divers Down and Dive N Stuff (at the time of release) or check with your local dive shop to inquire about the course. After your course, there are boats running from various operators every week to cull lionfish, along with the tournaments run by Ambassador Divers, so there is a lot of opportunity to use the new skills. (CNS): Researchers studying ten wheelchair dependent divers on a four-day scuba diving certification trip to the Cayman Islands in May say their study strongly suggests there is some scuba-facilitated restoration of neurological and psychological function in paraplegics. The divers, all veterans with spinal cord injuries, saw significant improvement in muscle movement, increased sensitivity to light touch and pinprick on the legs, and large reductions in post-traumatic stress disorder (PTSD) symptoms. The Johns Hopkins researchers, while calling the advances made over the course of a few days “dramatic,” caution that the results are preliminary, the study size small and the duration of the benefits are unknown. However, in an article on the John Hopkins Medical website they say the findings suggest there may be a pathway for restoring neurological and psychological function in paraplegics that has been overlooked thus far. Adam Kaplin, M.D., Ph.D., an assistant professor of psychiatry and behavioral services at the Johns Hopkins University School of Medicine, and Daniel Becker, M.D., head of Pediatric Restoration Therapy at the International Center for Spinal Cord Injury (ICSCI) at Kennedy Krieger Institute and an assistant professor of neurology at Johns Hopkins, conducted tests on the 10 injured veterans and nine healthy “dive buddy” control subjects. Before the dives, Kaplin and Becker conducted a series of neurological and psychological tests on all 19 subjects. They measured muscle spasticity, motor control and sensitivity to pinprick and light touch, as well as symptoms found in depression, obsessive compulsive disorder, hostility and PTSD. Then the participants underwent scuba certification, which included a series of nine dives over the course of four days. Eight of the 10 paraplegics ultimately completed the dives. At the end, all 19 participants were reassessed. The researchers saw an average 15 percent reduction in muscle spasticity in those disabled veterans who went diving and an average 10 percent increase in sensitivity to light touch and five percent to pinprick. In some individuals the improvement in tone, sensation or motor function was between 20 and 30 percent. The healthy controls experienced no neurologic changes. The researchers also found an average decrease of 15 percent in obsessive compulsive disorder symptoms in the disabled divers, a similar decrease in signs of depression, and an overall decrease in mental problems using a validated psychological assessment. Kaplin concedes those improvements may have been influenced by the fact that the subjects were taken on a Caribbean vacation and got to go diving on a beautiful reef. But the most striking psychological impact was seen in PTSD symptoms, which decreased, on average, by 80 percent in those veterans who went diving. Escaping to a tranquil beach setting, Kaplin says, wouldn’t be enough to account for such an apparent escape from PTSD symptoms. “They were challenged with something that made them anxious and they mastered it,” Kaplin says. He adds that the regulated breathing needed to make the body buoyant and to control movement in the water may have also helped to relax the veterans and made them better able to control their symptoms. The researchers say they don’t really know how to explain the effect scuba diving may be having on the bodies of those with spinal cord injuries. Kaplin says it is possible that weightlessness in the water may play a role in improvements found in paraplegic veterans. Deep in the water, divers are buoyant and don’t have to fight gravity, while the water allows for a kind of global resistance training they can’t experience on land. They can also better fill their lungs in the water since their breathing isn’t hindered by sitting in a wheelchair. It is also possible that increased oxygenation of tissues from the pressurized air may have resulted in the improved muscle tone, strength and sensitivity the researchers identified. The researchers would like to do a follow-up study which would compare results after scuba, snorkeling and time spent in a hyperbaric chamber simulating underwater dives. These may be able to tease out what role may be played by exercise and what role may be played by air pressure. The Cody Unser First Step Foundation, which is involved in education and research about disability in general and transverse myelitis specifically, sponsored the pilot study to see if there was any credibility to the anecdotal evidence of paralyzed divers. (CNS): The premier has announced that government intends to review its agreement with Caribbean Utilities Company (CUC) and the way customers’ power bills are being calculated. McKeeva Bush said he would examine more closely what the company would be charging if it was operating in a competitive environment as a result of representations made to government from people who have received monthly CUC bills that exceed their mortgage payments. Bush revealed Thursday that the kind of bills people were getting at present was unacceptable. He said CUC would be invited to enter into negotiations with government about how it could reduce these “kinds of bills” that so many people are receiving. 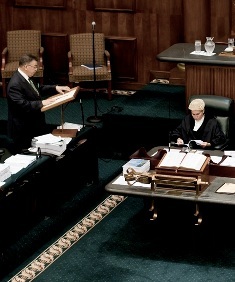 Speaking during a private members motion debate in the Legislative Assembly, the premier said that, depending on what the law permitted, his government would re-examine the deal it had with the firm and in particular the way CUC was calculating bills because it was clear that when power bills were higher than people’s mortgage payments, something was wrong. Bush said government would not support the motion filed by the independent member for North Side asking it to reduce the current levels of duty on fuel by 50 cents per gallon because of the significant effect it would have on government revenue. Miller argued that the fuel prices affect all consumer prices and, given that government had claimed a $25 million surplus this year, it should be used to remove the duty. During the ensuing debate, Bush railed against Miller and the opposition in general and accused them of playing politics. He pointed out that it was easy to paint government in a bad light when they all knew that public services depended on the revenue stream from fuel duty. The premier said the opposition knew that there would be a tremendous impact on government revenue if they were to make such a large reduction in the levy. Bush said the duty government earned on gas paid for many essential services, which is why the motion was merely a political ploy. “This is the easiest way to beat up on government and they can beat up their gums saying government doesn’t care about poor people,” he said, adding that the opposition knew he was not in a position to reduce the duty. He said that when people were paying fuel bills that were more than their mortgages, it wasn’t because government had taken 50 cents from CUC for the country. Bush said the motion was all about politics as the opposition wanted to make the people believe the UDP was responsible for the large CUC bills that people were getting. Bush said there was no doubt that the high fuel bills were a huge problem for the country but he said it was “down to the shenanigans” of the oil companies. He also stated that government intended to follow through on its budget commitment to reduce the duty on residential electricity bills by 20 cents per gallon. 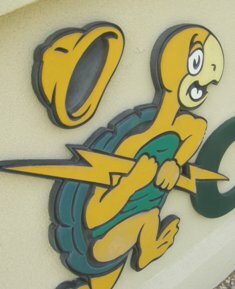 The premier pointed out that while Cayman was getting good service from its power supplier with the current on all the time, it was paying a very heavy price. “It is time that I take a second look,” Bush said in the Legislative Assembly on Thursday afternoon. He also added that if CUC had lost money hedging then the firm could not expect the people to pay for its mistakes. He reminded the country that the power firm had been allowed to take money from everyone to cover its losses in the wake of Hurricane Ivan in September 2004, even though CUC was insured, while many clients who were paying the surcharge on their bills were not insured and had lost everything. Bush said that while government could not accept Miller’s motion, it intended to provide relief for CUC consumers in more ways than one.